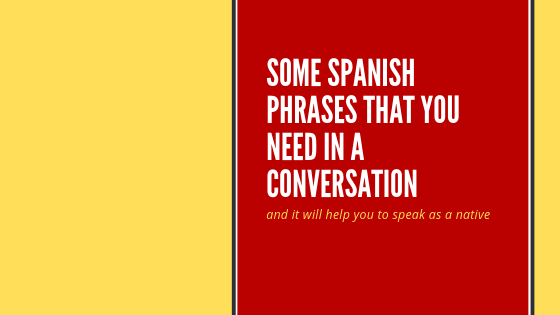 Some Spanish phrases that you need in a conversation If your goal is to speak Spanish as a native chances are that you are going to learn some fixed sentences. And that is great news, because that means you just need to learn them as they are, not need to break them down in words, that would never make sense…o once you accept that, you are a step closer to your Spanish fluency. A lot of Spanish students spend hours learning grammar, vocabulary, and that is great! Trust me! I love those students, and, if you do not love grammar you are not going to like to read this, that is something you need in order to become a fluent Spanish speaking. But also, good news! There are several phrases you need to learn as they are, these are called fixed sentences, and they are normally very useful in conversations. 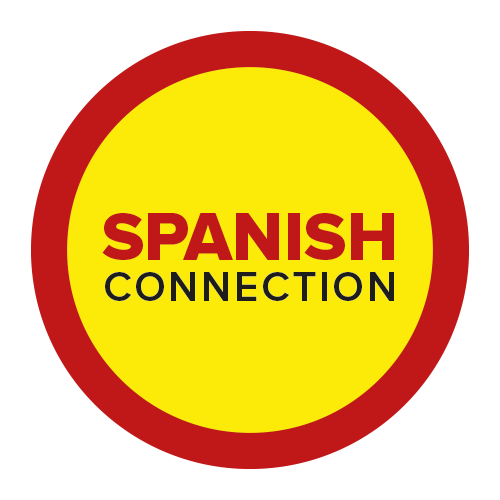 I am sure you already know some, but if you don’t, not need to worry, as today we are going to see some Spanish phrases that you need in a conversation. So either if you have studied this kind of sentences before or you haven’t hopefully you take something from today’s blog. Pretty useful if you are telling something but you can’t remember when it happened, you can always use. Hace un tiempo aprendí a tocar el piano, no sé si ahora recuerdo como hacerlo. A while back I learned to play the piano, I do not know if I remember how to do it now. Although most of the time people relate this sentence to money, it could be used for any other things, like a favour for example. Aquí tienes los 5 euros que te debía, ahora estamos en paz. Here you are, the 5 euros I owed you, now we are quits. If you are between you options, good or bad, it is a good time to use “de cualquier manera”. No sé si vamos a ir a Grecia o a España este verano, de cualquier manera van a ser unas vacaciones geniales. I do not know if we are goring to Greece or to Spain this summer, either way is going to be a great holidays. When you want to express exactly that a change, or something different. I normally play tennis, but this week I am going to swin for a change. When you are about to do/finish/start something is when you would use this phrase. Ya he acabado el trabajo, y estoy a punto de salir de la oficina. I have finish work, and I am just about to leave the office. #note-when you want to answer a question you as you would in English but saying “just about”, in Spanish we will say “a punto”. If your boss asks you if you have finish the report, and you are just about to finish it you could reply: a punto. And I think that is enough for today. I do not want to give you any more because I really want you to take these phrase in. So I think 5 is a good number, do you agree? So…now, as usual it is your turn! Leave a comment below using one of the sentences from above. -have you heard these phrases before? -have you ever used these phrases? I hope you enjoyed the blog today! Recuerda-la practica hace la perfección.